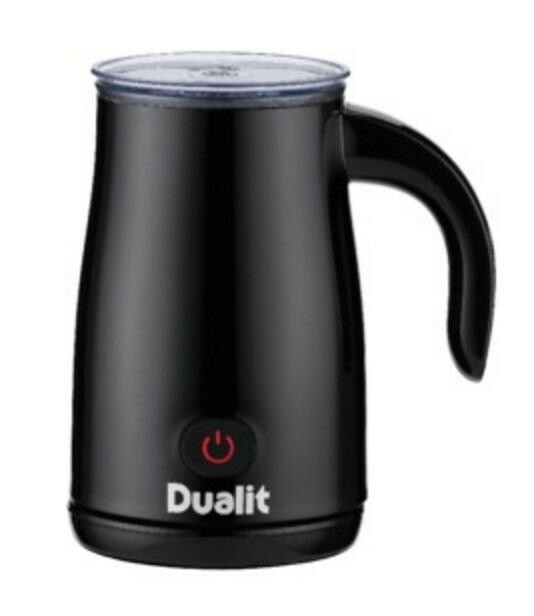 The Dualit DMF1 200ml 500W Non Slip Cordless Milk Frother is the perfect choice for making an authentic latte, cappuccino, hot chocolate or milkshake in the comfort of your own home. The Milk Frother utilizes both a 500W Power Output and a Dual Function Motor to prepare hot and cold frothed milk in just 2 minutes, and also hot milk. The Milk Frother is extremely easy to use, using just one button to power on, so you don't have to be a genius with modern technology to have a nice brew. The Capacity of the Frother is 320ml for heating and 200ml for frothing milk, giving you lots of milk all at once rather than making you have to constantly refill it.